These users aren't called "Bhargav Rac" and "Tunak", but Bhargav Rao and Tunaki. This happens on both the 'apps' and 'scripts' tabs of the Stack Apps homepage. Tested on Firefox and Safari on macOS, and Internet Explorer on Windows 8 (but there, the truncation is slightly less). 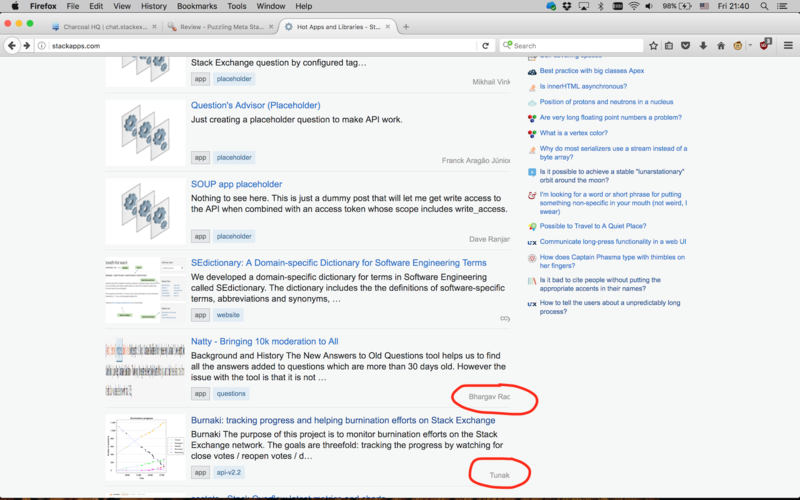 Recently the user name truncation issue has been fixed in the Stack Apps site, now it is looking good. Not the answer you're looking for? 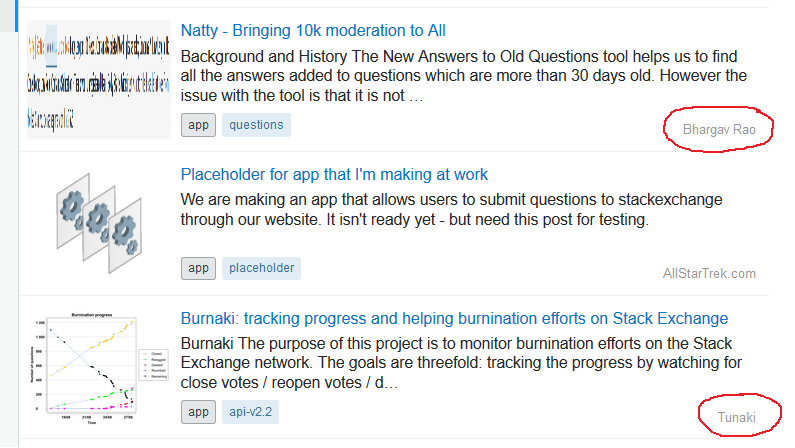 Browse other questions tagged bug status-completed meta stackapps design .